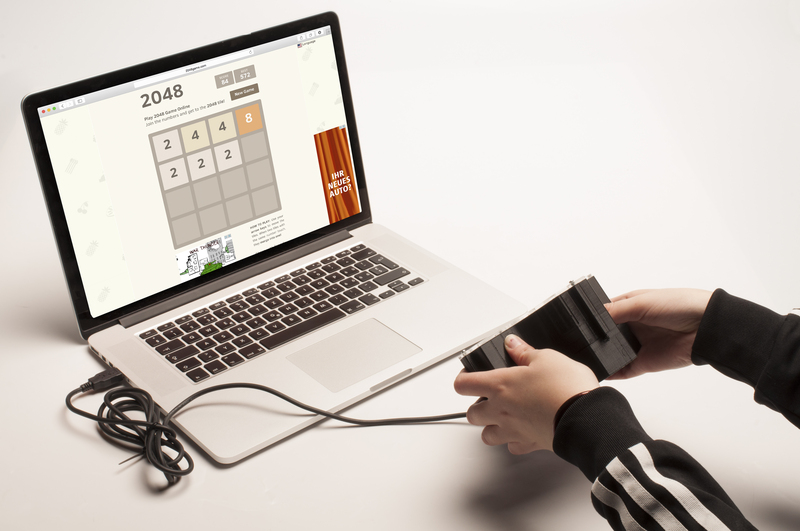 2048+, controller of 2048 game. 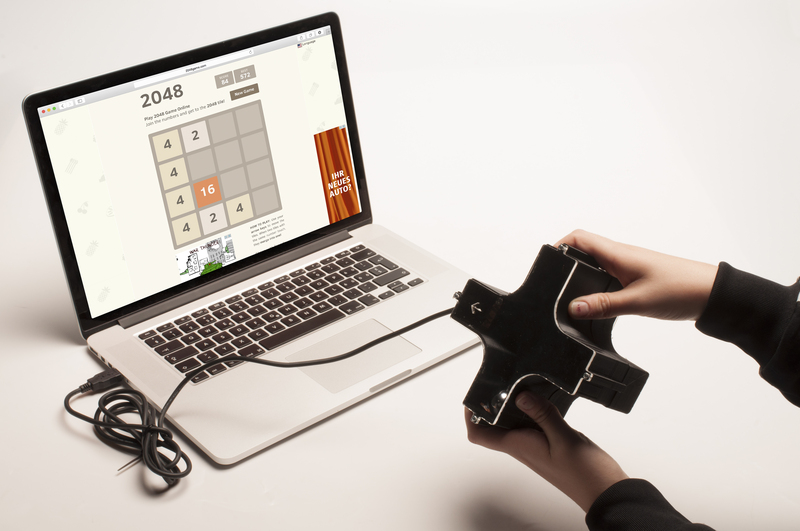 2048+ allows the movements of the game without using the keyboard but shifting the controller on its x and y-axis. 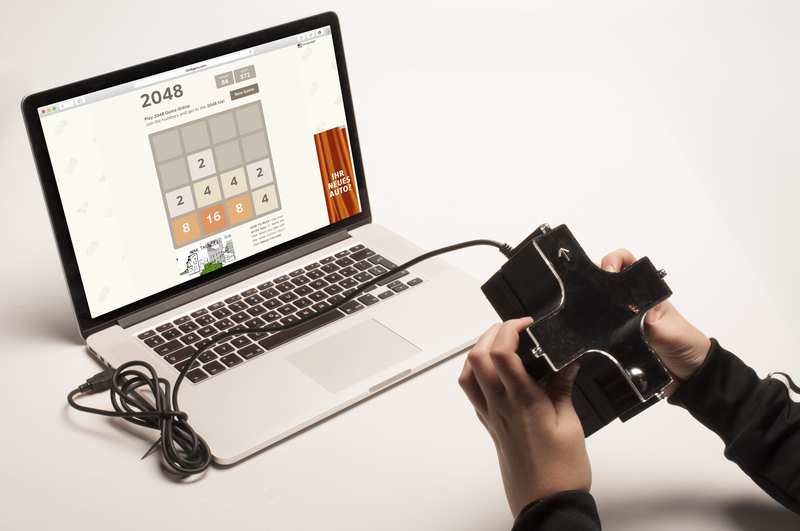 The game consists in adding the same numbers and get to 2048. By rotating the controller to the left, right, up and down it takes the place of the symbol plus between the two numbers allowing the addition.